I just love these! 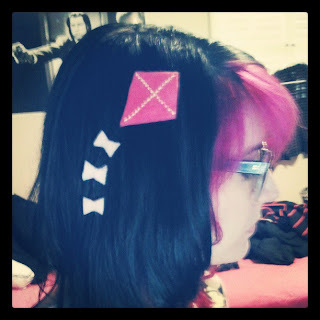 Nails and hair clip alike. 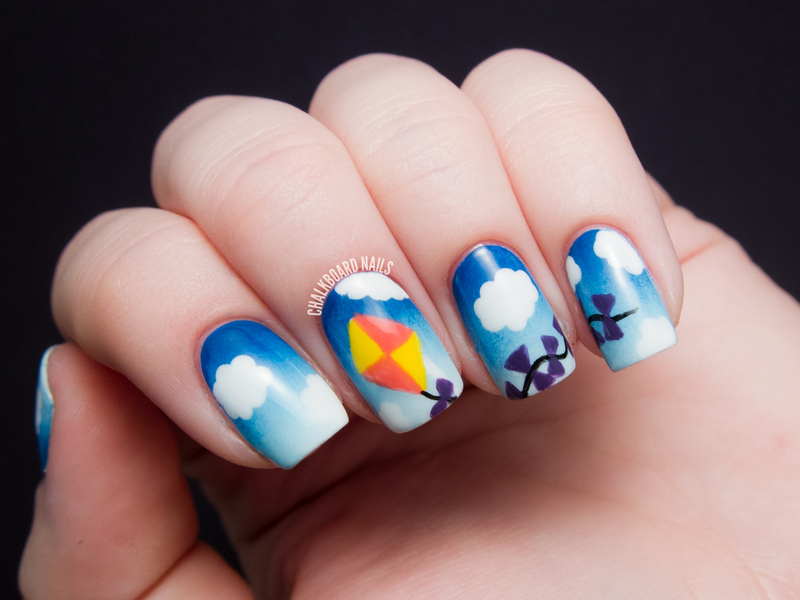 This manicure is so adorable! I absolutely love it! Totally adorable. This makes me want a vacation, lol. love this so much! the nails and the hair clip is super cute! please keep in mind that you can lose or gain a maximum of two pounds per week safely. A pound of body fat is approximately 3500 calories. gym. You can also join local weight management meetings for an insightful support. These are adorable. Well done as always! "Let's go fly a kite! Up to the highest height! 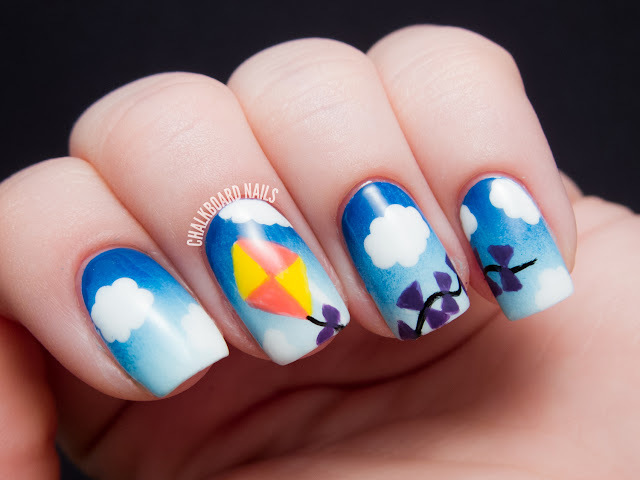 Let's go fly a kite and send it sooooooaring!" I love it! 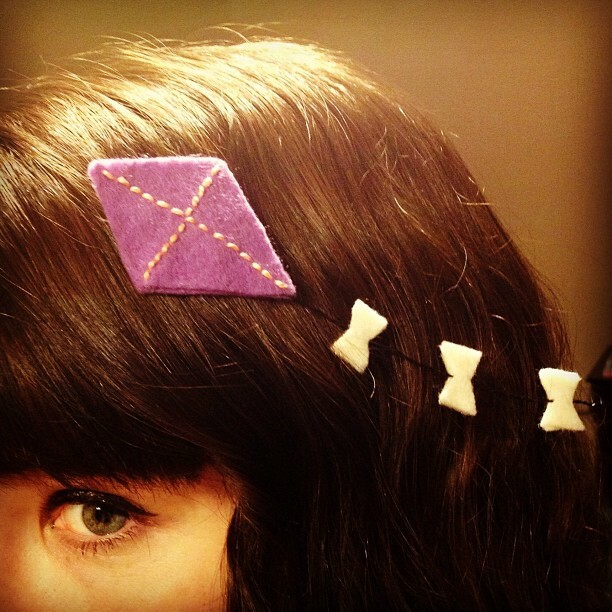 I'm totally doing that kite barrette tutorial too! Thank you so much for the link to it! So cute! I love kite flying, I wish it was windy enough where I live to fly one. 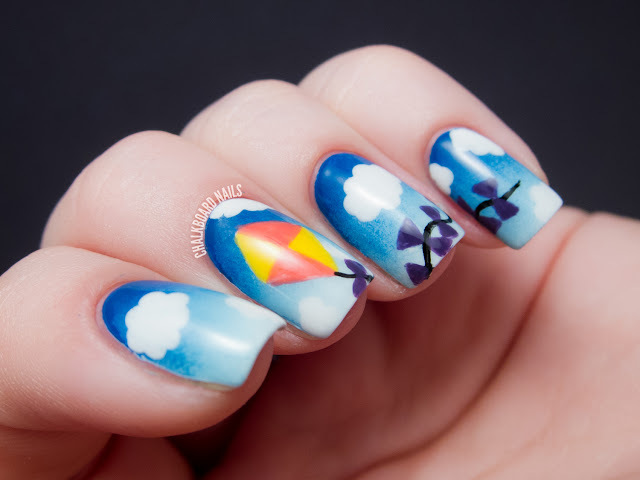 Gaaaaaaaah, the nail art is adorable but dammit, now I also have to make myself a hair kite! So cute! 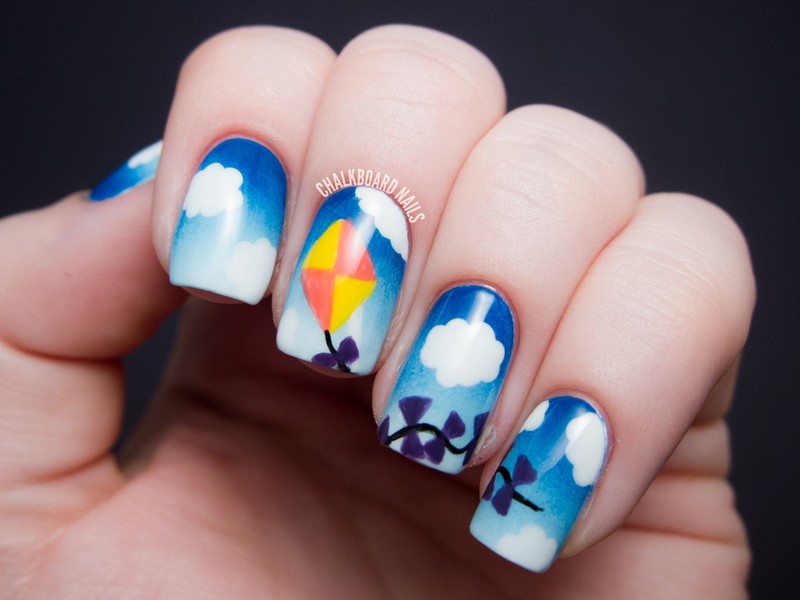 Absolutely love this, both the manicure and the hair clip. look great, nail paint style beauty! 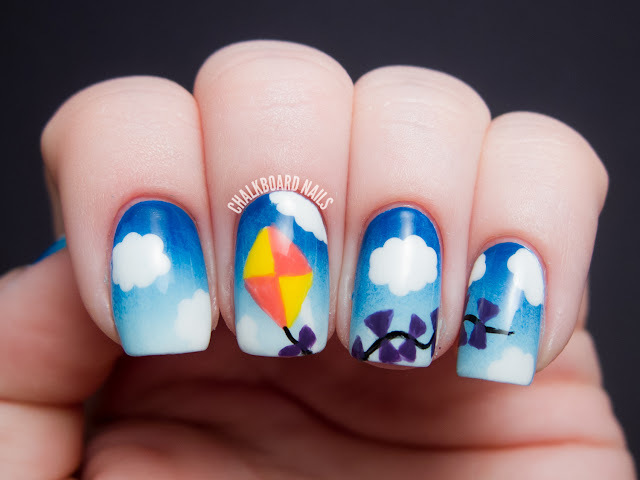 Mmmm, summer on your nail! Beautiful! i've never seen a mani like this before it looks so lovely! How spirited! So fresh and fun! The hair pins are so hipster chic! Your pictures are so perfect that your hands look fake! Fantastic job.